100 days of travel finds us in our first, real, shiny hotel. 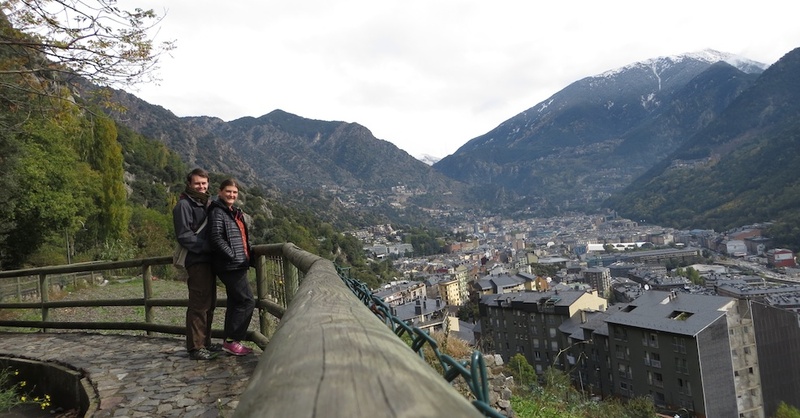 We wake in Europe’s highest capital: Andorra la Vella: trapped between Spain and France. Grape vines are scant, because mountains make up most of this tiny country. So our EU Austerity Drinking Adventure puts on its sober hat. We have a double bus tour today. It climbs out of town, winding through ravines. 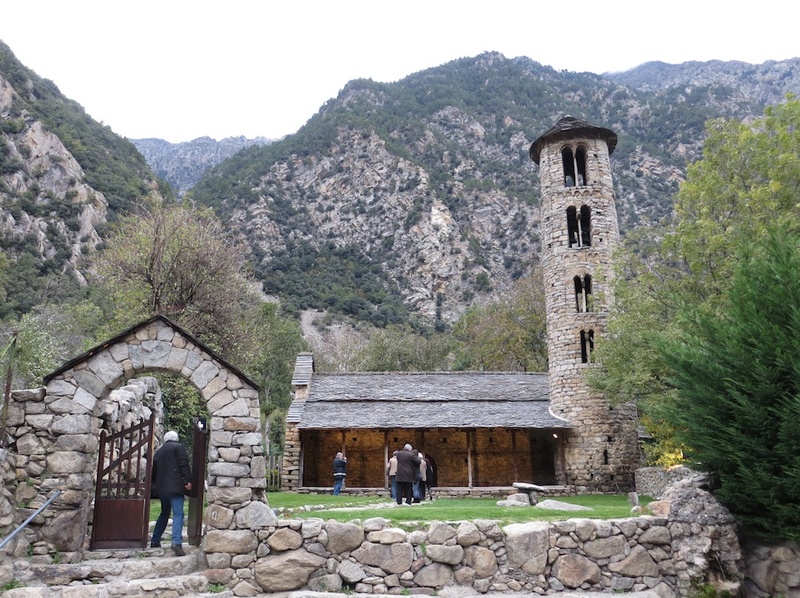 We stop by a tiny stone church. Inside we find gilt wooden altars, tiny pews, a mirco-organ, and ancient frescoes (most of which were purloined by the Spanish). 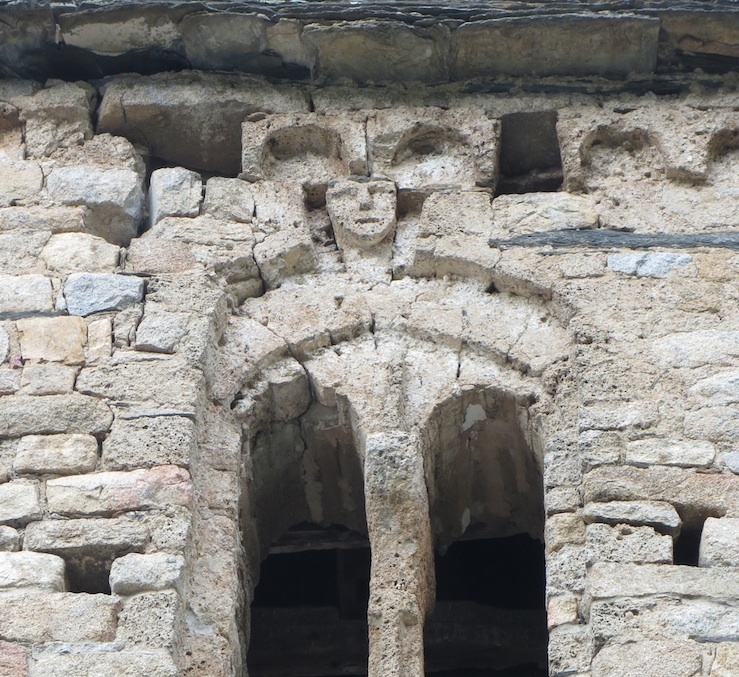 These humble Romanesque gems dot the country. 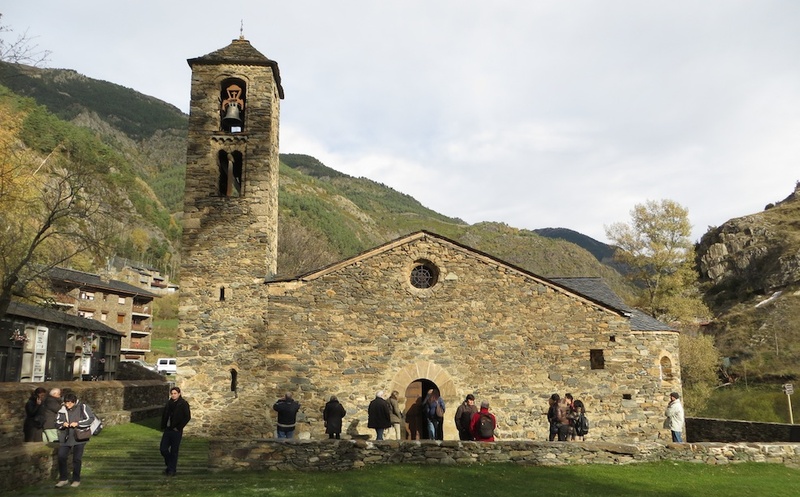 A millenium ago, Charlemagne gifted Andorra its independence, probably because who wants to conquer a mountain. Pride and religion intertwine its history. We climb again, higher and higher. 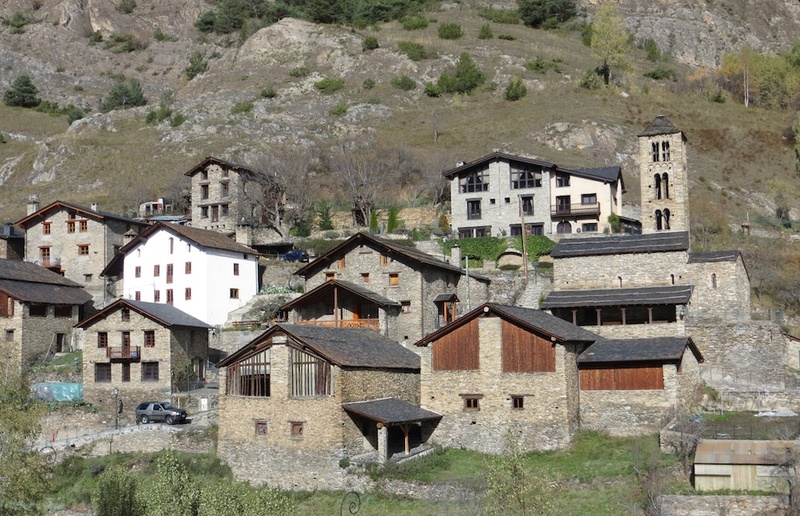 A drab, ancient village clings to a cliff with another Romanesque bell tower. We rise above the cloud line. 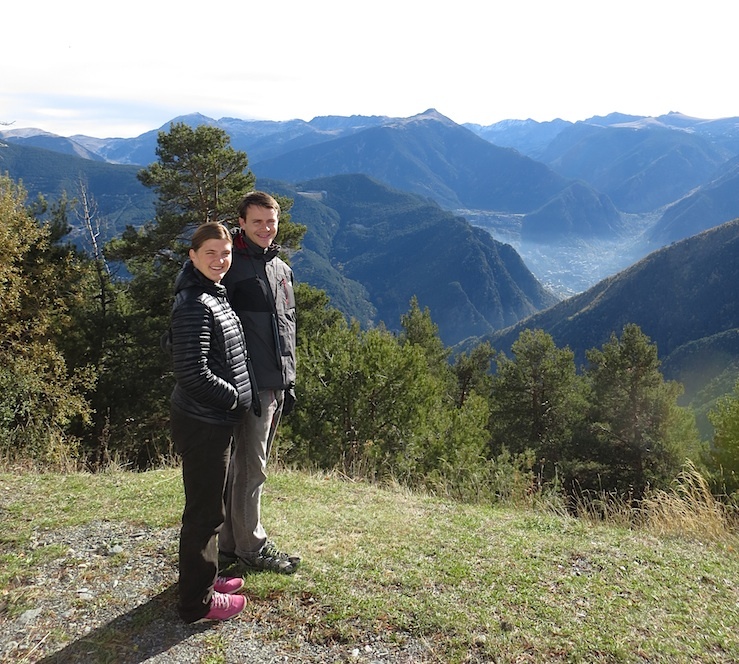 The air thins and soon we reach a peak of the Pyrenees. Short of breath but happy. We tumble into another town to tour a well-to-do merchant home and cultural center. Although a breathtaking place, centuries rolled by and nothing happened here. People just lived their modest, devout, and slow toiling lives: much like their slate roofs, stone flagging, and seas of sheep. They are neither French nor Spanish. 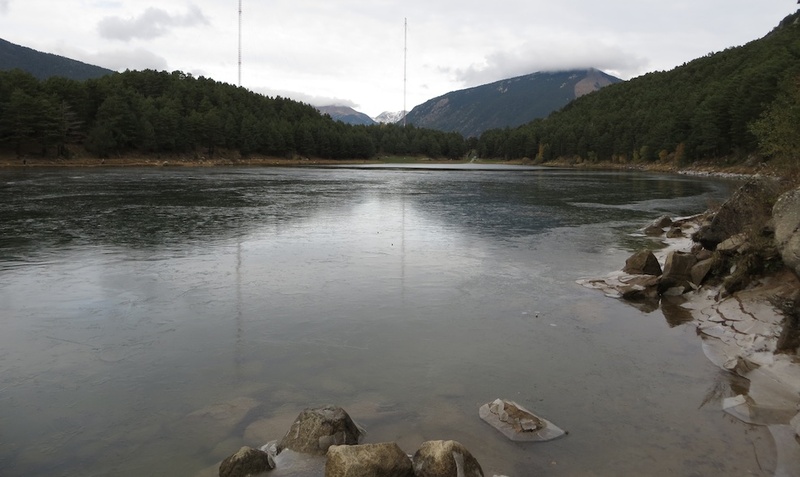 Next, we stop by an ice-laced lake. The story goes that Jesus visited a rich village dressed as a beggar. People mocked and beat him. So he dumped this lake on them. 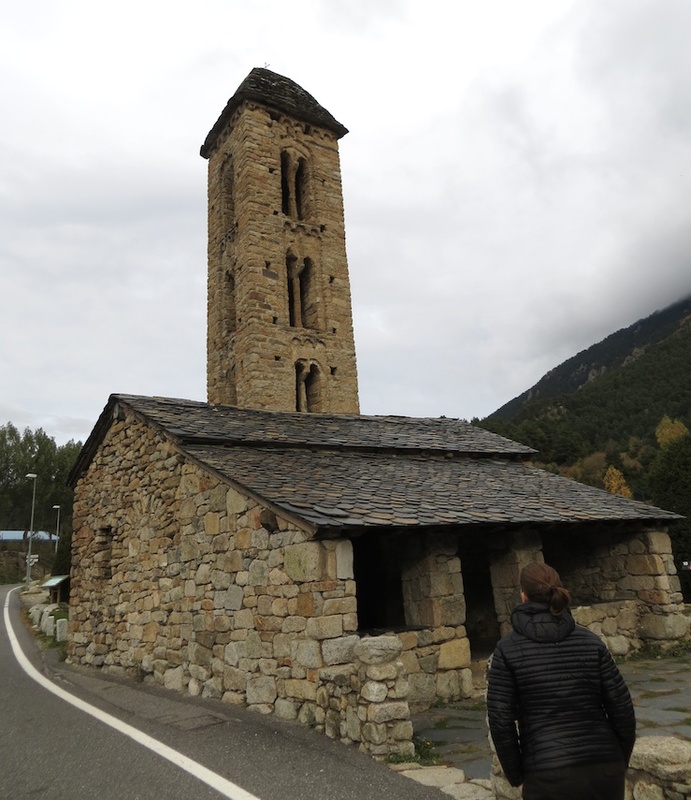 Thoroughly creeped out, we visit an even more petite and ancient church. but it also watches over the most spectacular view of its capital. Our driver senses the tour’s end. We fall back into town insanely fast. Once we cross the city, another church emerges between warehouses. Grey was the new black back then. This one flaunts the oldest and only surviving round bell tower. Round? I say! Those ostentatious city-folk! 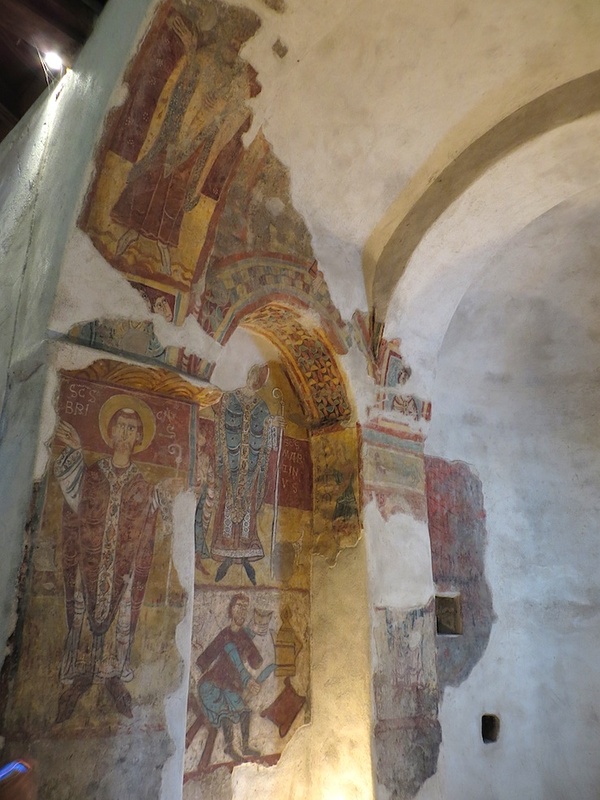 Sadly, Spain stripped the interior frescoes here as well. We wind the evening down with a few decent bottles of Rioja (Faustino’s 2004 Familia tastes spiced and peppery, floral and dried-berried, like drinking in a woodland). After absorbing so much, mostly grey-colored, culture yesterday, we opt for a nature hike. Locals smile and great us in their calm, cool way. We criss and cross higher between barely hanging homes. Their terraced gardens fill with produce, and what seems to be Muscat (used in local cheap brandy). Finally the trail levels along the middle of the cliff. We reach the capital’s Southern edge after a few hours. We head back into town and luckily avoid buying anything from the endless designer watch shops. The pyramid temple of hot springs tempts us but costs too much. With dusk, the smell of roasted hazelnuts fills the manicured streets. 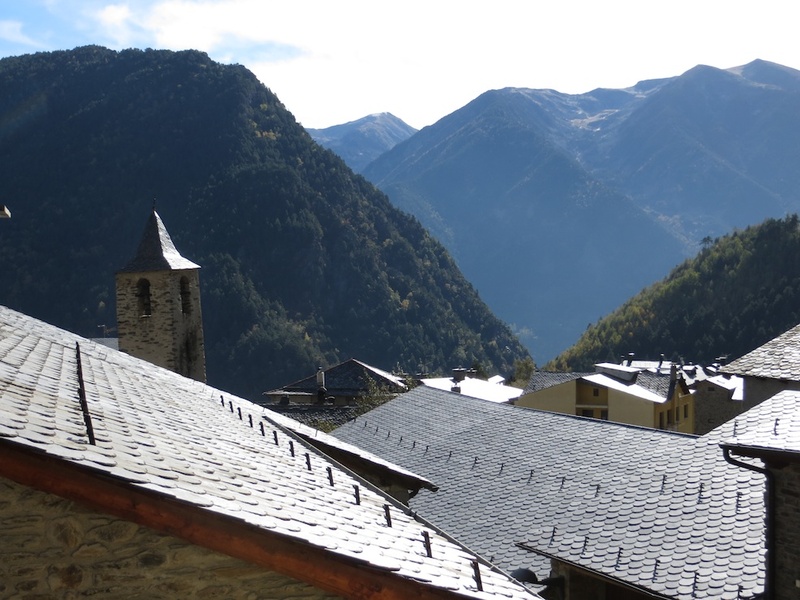 Andorra is an amazing, strange, sometimes dull, but pleasant country. We could not ask for a better palate cleanse before heading into Barcelona. Check back Monday for that! 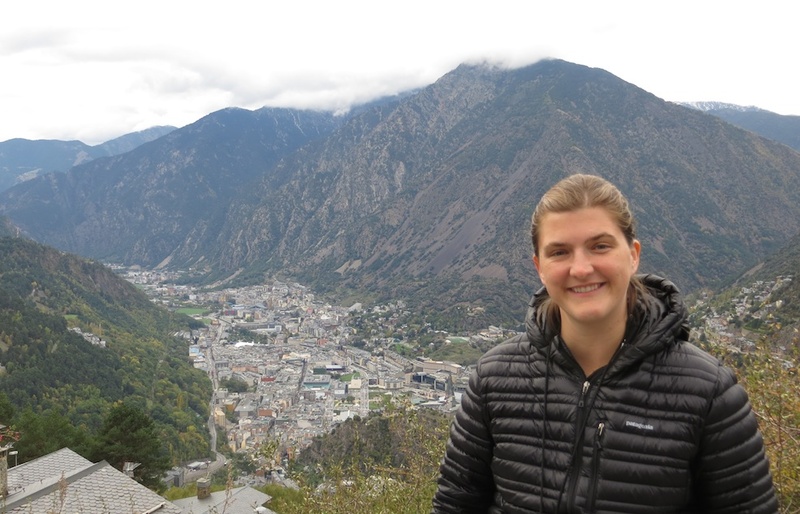 This entry was posted in Uncategorized and tagged Andorra, Andorra la Vella, Charlemagne, off shore accounts, Pyrenees, Romanesque churches, Skiing, tax haven. Bookmark the permalink. The fresco! 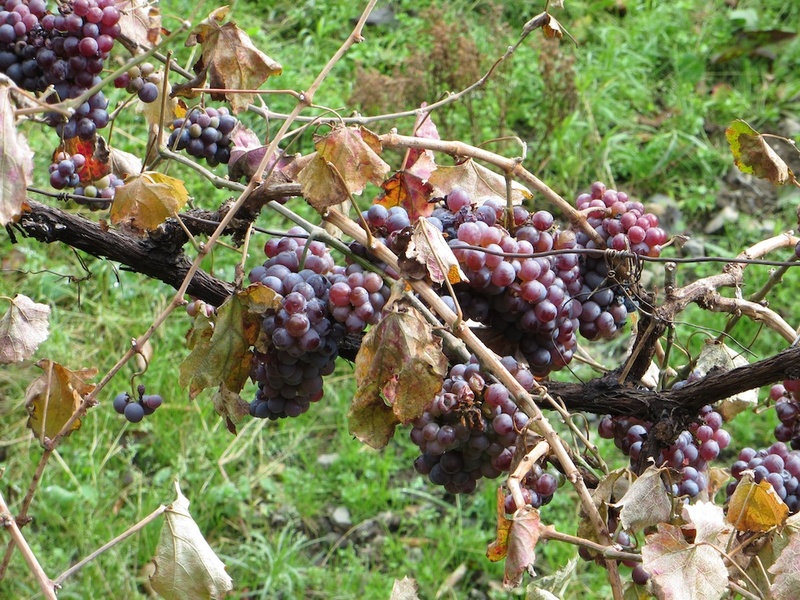 Happily preserved in their town, colors evoke richness of those muscat grapes. Hmm: would they be: Sprench or Franish?